The UN, put there to stop(?) the Hizbollah from rearming in Lebanon and to stop(?) Hizbollah from smuggling in weapons into Lebanon is now reporting that Hizbollah is not only up to full strength, but has far surpassed their previous state, and now even has missiles that can reach south of Tel Aviv. The report also indicates that Hizbollah has tripled their stockpile of Land-to-Sea missiles (like the kind that sunk the Israeli Navy ship that forgot to turn on its defense system). They have also added surface-to-air anti-aircraft missiles. In short, the UN report implies (but doesn’t state, as they would still disagree) that the UN has completely failed in its mission. Let that be a lesson to nobody. Of course, the UN report concludes by criticizing Israel for its flyovers of Lebanon in search of Hizbollah repositioning and stockpiling efforts (apparently we should trust the same UN for that). There was an article about Peki'in in the JP a few weeks ago. Interesting place. Now it is mostly a Druse village, but it used to be a completely Jewish town, and in fact there has been a continuous line of Jews living there for the past few thousand years (such as the Zenati family). It is said that the Druse and Arabs live there together quite peacefully. 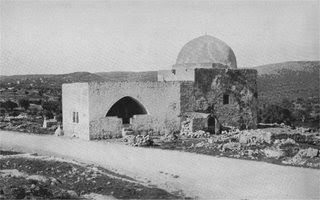 It is also said that Peki'in is the location of the cave where Shimon Bar-Yochai hid from the Romans and wrote the Zohar. 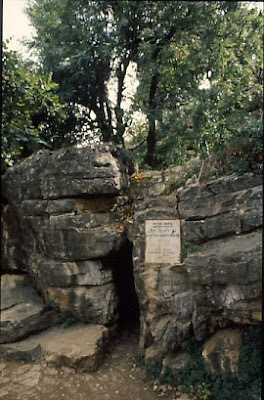 Here is a picture of the cave (source: http://blog.kabbalah.com/michael/2006/05/15/cave-in-pekiin/en/) . Peki'in has been in the news lately for other reasons. The recent riots and violence. I have no clue as to what happened in Peki'in other than a few basics that seems to be pretty clear. Someone had an cellphone antenna installed very close the homes in the town and the residents didn't want it there due to the suspected correlation between antennas and cancer. They were upset. They didn't get reactions or responses from the authorities. They rioted. It's time someone reformed the Israeli police. They cannot keep being allowed to act like a bunch of inexperienced newbies who don't know how to do their job properly. Charges must be brought against the officers that used live fire. And an investigation must be run to uncover who is the idiot who gave the orders for police to go in without proper and non-lethal riot equipment. No, I am not ignoring the acusations of alleged use by Peki'in residents of weapons, and that must be investigated too. But police violence has reached an all-time high. Violent officers aren't punished (unless caught on film). And the police seem completely ignorant of modern methods of crowd control that don't include the excessive use of force. Have you noticed that when Israeli police begin to direct traffic, the streets suddenly get far more congested? And whenever police come in to quell angry citizens, the violence escalates far beyond normal levels for any professional (and Western) police force. What are they, the Keystone Cops? I was listening to Radio Kol Chai this afternoon. 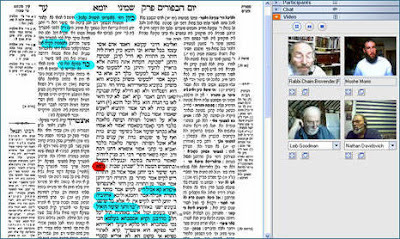 Radio Kol Chai is a Chareidi station that tend to take a Right of Center position on many issues. They were interviewing the head of some organization in Sderot concerning the decision to (or not to) shut off electricity to Gaza in retaliation to or as a deterrent to the missile strikes on Sderot. The Sderot resident was justifiably angry at the voices saying that no action should be taken. They then called on one of the sicko leaders of Peace Now, who ranted on how no action should be taken against Gaza. Instead a cease-fire must be reached (hmmm, I thought if they didn't start shooting we wouldn't have to react) and the flood-gates opened for trade and free passage! This was his solution! He said that taking actions against Gaza would have no effect, so it is not a good thing to do it. Since shutting off the electricity has never even been tried, it is not clear to me how he can be so sure it won't work. This sicko then unbelievably went on to equate that there are only two groups against the upcoming Annapolis meeting – the Iranians and the Jewish Rightwing - how both share a common goal of "no peace". I was astounded as his incredibly idiotic comparison and thought process. I think a more accurate comparison would have been the following. What do Gaza terrorists and Peace Now have in common? Neither wants the electricity shut off in Gaza, and apparently neither cares about the lives of the residents of Sderot. Both groups clearly share the same goals (and I’m not just talking about the electricity) – now that is association that is clearly defensible. I don't know if you've been paying attention. Or perhaps you have, but it just isn't considered big news for all the standard reasons. Or perhaps you expect it, so you can't get excited about it anymore. On Friday, a shul was burnt down in Israel. Today, the farm belonging to the same town was utterly destroyed. Of course, it isn't news, just like the previous times, because the farms belong to Jews. What is different this time, is that 3 of the perpetrators were finally caught in the act of running away. The three, UK citizens and members of the left-wing, anti-Semitic group ISM couldn't run as fast as their fellow wannabe Nazis who left them behind, so they got caught. It's already been determined that they were also involved in previous attacks on Jewish villages and their farms and property. Apparently, after the Arabs and leftists kept getting caught on film destroying Arab farms and then blaming the settlers, they decided to graduate to destroying Jewish farms and synogogues. I think its time for some more Rachel Corrie incidents to thin the pack of these rabid animals that have entered our country. Here is a Yideoz video on Kever Rachel. If it doesn't work or display, then click here. Thanks Jonathan for the link. It was like being on the set of Prison Break. After yesterday’s article I think every person for the division of Jerusalem should be required to visit Kever Rachel. Kever Rachel is a 1 15 minute WALK (and less than a 2 minute car ride) from Talpiyot, yet it takes a half hour to get there by bus. As part of the idiotic capitulation process, Israel handed over control of Beit Lechem to the enemy. After all the attacks from PA controlled areas Israel decided to wall them in, instead of retaking control and kicking the enemy out. A big problem today is that Jews no longer have free access to one of our oldest holy sites, the gravesite of Rachel Imeinu. What was once a lone standing building in an empty field is now a practically impenetrable fortress that requires coordination with the army to visit due to Arab terrorism. Can you imagine what it will be like to try to get to Ramot, Ramat Shlomo, Abu Tor, Har Tzofim (The Hebrew University), The Old City, Abu Tor, Ramat Rachel, Arnona, Pisgat Zeev, East Talpiyot, and the rest of the city when they are done dividing it? If there was ever a time we needed Rachel's prayers and tears, this is it. I don’t know how much of Jerusalem Olmert plans to give away to the enemy, but I decided to look at some maps to get some idea of what they are probably talking about, and who it would affect. 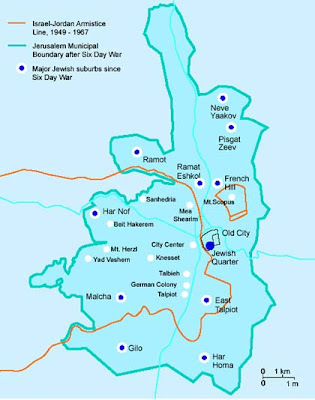 This first map shows the current Jerusalem Municipality, as well as the division of Jerusalem from 1949 to 1967. And the major neighborhoods both before and after. I couldn’t overlay this next map on top of the map above, but using the various neighborhoods directly you’ll get the idea easily enough what goes where. 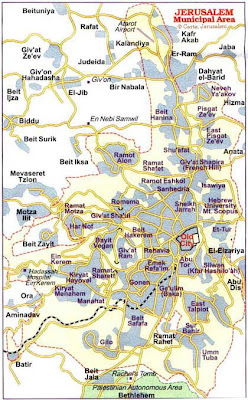 Below is an old map from 2000, showing one of the discussed divisions of Jerusalem. Note how Gilo, Ramat Rachel, Atarot, Pisgat Zeev, Givat Zeev, The Hebrew University (Mount Scopus), Har Homa, Ramot, French Hill, Sanhedria, Ramat Eshkol, The Mount of Olives, and many other Jerusalem neighborhoods suddenly find themselves isolated, cut off, and in some cases, without even an access corridor! Only an idiot would think about doing this to Jerusalem - or an enemy. Last week I read how a left-wing think tank, well known for their leftists views, would be presenting Ehud Olmert with a working paper they're doing on whether or not dividing Jerusalem would bring peace. I wasn't quite sure how any reasonable, thinking person could expect this "independent" think tank to come up with any results other than the one we’d expect from them. I even wondered if they needed to waste their time writing a working paper. I could have written the results for them myself, in advance. Amd I wasn’t let down, the think tank's expected response was - No, dividing Jerusalem will not bring peace, unless you also throw in the Old City and of course the Jewish Temple Mount (I doubt they said Jewish though). Oh, and of course (as we already mentioned), Israel would have to permit all the Arabs in the areas about to be thrown away, to have the opportunity to live and move to the "Israeli" side of the division, otherwise those Arabs will also be unhappy and will start working to undermine Israel and Jewish Jerusalem. Think about what they are saying, it’s pretty funny. It reminded me of some other news that came out yesterday. Leftist groups in Israel who sponsored and were involved in the joint Israeli-Palestinian “OneVoice” concert that was forced to be cancel are struggling with how to react to their fellow Leftists who forced the cancellation. You see, the Palestinians, who didn’t find them Left enough, threatened to blow them and their offices up. The Leftists overseas were very upset that the event was being held in Park HaYarkon in Tel Aviv – the sight of an Arab village before 1948 (until the Arabs ran away expecting the Jews to be slaughtered), and they too demanded its cancellation. The organizers just couldn’t understand how their organization for Peace wasn’t far enough to the Left, for the anti-Semites outside of their little circle of friends. Meanwhile, in other news, archaeologist (with their hands tied behind their back) overseeing the continuing destruction of the Temple Mount by the Arabs, have discovered an entire archaeological level dating back to our First Temple period. Something the Arabs are trying to destroy as they attempt to delink the Jews from our Temple Mount. Sometimes I don’t just don’t get what the problem is. Today Abbas’s branch of the Palestinian Authority released a bunch of their security people, members of Abbas’s Fatah, who had served their two months for plotting to kill Olmert. These PA security men used their high-level access to obtain information on Olmert’s convey. It appears they may have been connected with the Palestinian who was arrested this summer who used Doctor’s Without Borders as his cover in his attempt to kill Olmert. Let’s discuss the relevant facts. The security men in question were Fatah members. They didn’t actually succeed in killing Olmert, so they had no blood on their hands. Based on Olmert’s own criteria, if they were in an Israeli prison they would have been released a few weeks ago along with the rest of the Fatah terrorists. And why is Tsippy Livni complaining about the PA revolving door policy – how is it any different than Olmert’s? The only real reason the current standoff cold peace with Egypt has lasted so long is because of the weapons and money that the US has annually supplied Egypt with since Camp David. But Mubarak is sick and apparently dying now. The less practical Islamists are poised for a takeover of Egypt. 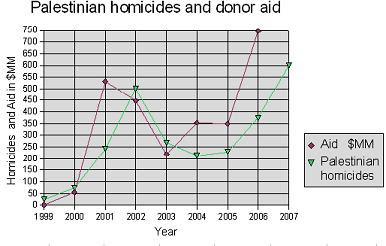 Will the low level Egyptian assistance to anti-Israel terrorists reach new heights? Will the US supplied weapons stockpile be turned on Israel? In light of changing events, these are questions that need to be asked (and should have been asked before a decision was made to heavily arm and support a dictatorship). A known tactic the police have used in political prosecutions persecutions of anti-Expulsion protesters has been “secret information”. In fact, this is something the police have used for a while now in court cases not just against those who are pro-Israel. “Secret Information” is something shown to the judge, while the defendant has no access or even knowledge of what that information is. Can you imagine trying to defend yourself in court when suddenly the judge is shown “secret information” by the State. How can you defend yourself? How can you determine if the judge hasn’t been prejudiced by irrelevant information? A bill is going to its final reading in the Knesset soon that will allow the Police full “Big Brother” access without even the need for a court order. The police will be able to freely access your phone records, your internet records, your cell phone records, even your cable records (and how exactly is that applicable to state security?). The police will even be able to use your cell phone record to pinpoint your (cellphone’s) location at any point in time. (Go prove you lent your phone to your wife). Can you imagine such unchecked power in the hands of an organization that has shown to be rife with so much corruption as of late (especially by those high up in the food chain), open political manipulation, that has abused its powers both physically and legally, that has completely lost the trust of the people? This is a scary law, and it must be blocked. Would you trust this man with your liberty? I just realized. I hadn't posted in a few days. Sorry about that. I was reading the NYTimes, and saw a great article. I know it's happened to me. You get out of the subway, and you don't know which way to go. They are experimenting with floor signs that help orient you. Can you imagine, if in Israel someone decided to require street signs on every corner, and numbers on every building?! There was an interesting article on the front page of Friday’s Makor Rishon. The newspaper pointed out something very interesting. If the current government of Israel is stupid enough to split Jerusalem (against the law) and give it away it faces another predicament. Under the current law, most of the Arab residents will be entitled to be reimbursement and housing elsewhere in Israel so that they won’t fall under the dominion of the PA. I can see it now. The PA takes over and all the East Jerusalem Arabs decide to take advantage of the law to the tune of an estimated NIS 7.5 billion shekels. Hmmmm. They still haven't decided if my house will be inside or outside the wall (there is, of course, the obvious question as to which side constitutes the inside and which the out). But work has been slowing down lately, and from what I hear, as of next week it stops. Yup, this failed concept has run out of money (as that is the only thing that could apparently stop it). Personally, I'd like to thank the Supreme Court for this. 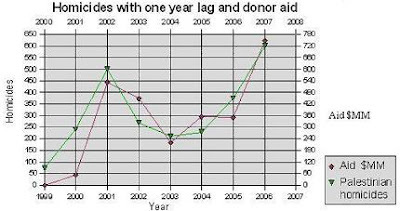 While the elite have been so worried about the path, and constantly making the army move the wall westward, each little change has cost the project more and more money (besides the normal overruns). So for this fiscal year at least, the wall has run its course. Yigal Amir's wife is due to give birth to a boy in around 2 weeks. The brit should be around the same date of when Rabin was killed. I'm betting Amir names his kid... Yitzchak. Hmmm. I think there is something missing here. Let’s take up this challenge for a second. Looking at my own community, I think we’re pretty good. We keep the Torah. We’re good people. We’re proud Jews. We stand up for what we believe in. We help one another. We work hard in all fields of life. We build shuls and communities. Our intermarriage rates are low. Our birthrates are high. Our schools (admittedly expensive) are full of students that usually graduate, and usually graduate to advanced degrees. We produce leaders, and soldiers, and doctors, and scientists, and rabbis, and bus drivers and mechanics. Our communities are healthy, successful and vibrant, and we properly perceive ourselves the same way. What is wrong about us? Perhaps we’re not taking enough senior leadership roles in Israeli society (but we’re working on it). Perhaps we can be doing more Kiruv for those unfortunate sectors of society that do need to change the way they think about themselves and their community. And perhaps that is the answer to this challenge. On one hand, we have parts of Ultra-Orthodox society (with certain notable exceptions) isolating themselves away like Essenes, not only from the non-Ultra-Orthodox, but even from different sects within the Ultra-Orthodox. Not a healthy situation, but one that they will be directly forced to confront at some point or another and resolve. But, the other side of the spectrum is even worse. Non-Orthodox society is disintegrating as a Jewish society. Intermarriage rates are at all time highs – above 50%. Communities are disappearing as Jewish communities. Israeli society as a whole can’t seem to define why it belongs in Israel, much less in control of Israel. People are trying to save their streams of Judaism by calling non-Jews Jews, as if that is a magic formula. Band-aid solutions like Birthright and this competition are being created to save “Judaism”. In fact solutions like this are being offered because the sponsors recognize that their brands of Judaism are in a downward tail spiral and they are looking for a way out. The right question isn’t how “to change the way Jews think about themselves and their community”, but rather how “to change the way non-Orthodox Jews think about themselves and their community”. I think the answer to the correct question is in the question itself. It is hard to maintain continuity, membership, history, mission, relevance, internalized meaning, and permanence when the basis for your definition of Jew and Jewish doesn’t embrace those concepts, or when it does include even diminished versions of even one of those concepts, those that should know of them are often ignorant of them. Birthright has shown some minimal success because it has embraced membership (Israel) and history (Israel again), but it certainly doesn’t provide mission, relevance, internalized meaning, and permanence, and that is why it is a short-term band-aid solution. The solution is to look at the sector of Jewish society that is succeeding and emulate them. The solution is to get more Jews to be Torah observant, and just as importantly to understand (internally) why they are Torah observant. For those of us in the Orthodox sector, we must change the way we see the non-religious community. Not to write them off as lost, but to help them find their way back to Torah Judaism and our Jewish future. If I win this prize, I would teach Torah and do Kiruv at Brandeis. That is the correct answer to this challenge. A few days ago I wrote a rant about living in the US vs. living in Israel. Here is a link to an article about an Israeli textile manufacturer that has dicovered it pays to manufacture, not in China, but in Israel. Gary Heiman, founder of the Arad Towel Company says that while manpower and some other things are cheaper, when it comes to quality manufacturing of products, innovation, stability, turn-around, quality control and more, nothing aparrantly beats Israel. "So it's true that the gross is cheaper, less salaries, but in the net, I earn well when I take advantage of what I can get in Israel – high-quality and intelligent manpower, with energy, innovation, who are proud of what they do. The Israeli workers and the managers want to be the best. Their level cannot be compared to other places." Gee. It's nice to write something positive and upbeat every now and then. I wasn't aware of this until I saw the JP article. Apparently the Left are trashing their fellow artists who will be performing in the 40 year anniversary of Gush Etzion. "Idan Raichel, Ehud Banai, Eti Ankri and the band Hamadregot" are mentioned in the ad, essentially as being ideological traitors who are selling out their performing abilities for money. Personally I thought most performers performed for money. I guess the Left doesn't like "tainted" money? Here are a bunch of posts with pictures of different sukkot and events going on around Jerusalem on the Streets of Jerusalem blog. Ha’aretz and Channel 10 did a video piece on Israelis living in America. It interviewed a number of Israelis that live in Israeli enclaves and as much as they all said they are in America temporarily and for just a short period of time… they all seemed quite happy in their “golden prison” as one called it, and after years in America, they clearly weren’t in any rush to leave. What I found most disturbing was when they interviewed some Israeli academics at Stanford University. They spoke the truth. They were describing how easy it was to succeed in the academic world in the US as opposed to Israel. As she was talking about the availability of jobs in your field, I got the impression that she was talking about the whole academic atmosphere (lack of strikes, laid back atmosphere, etc.). What is disturbing is how true it is. Why does it have to be so difficult in Israel? Why does everything seem like an uphill battle? Is there a lack of business connections? Is it the limited resources? Doing business with large organizations, the most common phrase I hear is that there is no budget available for their department (despite the amount of money flowing through their organizations). Does the Israeli atmosphere of sink or swim (it’s you or it’s the person next to you) override the understanding that cooperation is often more necessary for success, than beating down your neighbor? Is that why when driving down the street you often feel that you are on a racetrack – that the person swerving back and forth in front of you is driving to win, and not driving to reach his destination?